Two of Ireland's best ever rock/blues musicians. The Don Baker and Rob Strong Band have collaborated to record an album together in January 2018 and tour many of Ireland's best known venues this spring and summer. 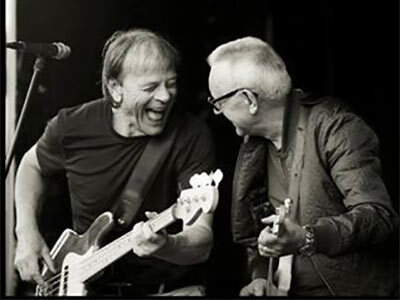 Don Baker is known as a prolific singer/songwriter/musician for over 50 years and Rob Strong, from Derry, on bass guitar and lead vocals, is another of Ireland's Living Legends, who also has been performing for more than five decades. Don, Rob and the band, guarantee a great night of real rock n’ roll Live! No backing tracks, no sound effects, not even lip-sync- just pure raw talent that has stood the test of time- the country's finest ever exponents of Soul, Rock and Blues!